A veil (ogunthana) is a piece of cloth used as a covering. Some religions and cultures require women to veil themselves in public, considering it to be a sign of modesty. The Bible says women should veil themselves while in church (1 Corinthians 11, 4-16) and the sheer veil a Western bride wears during her marriage is a leftover of this practice. In most Islamic cultures women must wear a veil to cover their hair or sometimes even their whole face when in public. 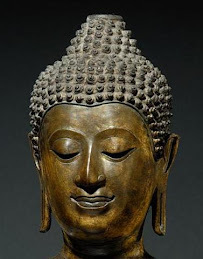 At the time of the Buddha some women wore a veil although more as an equivalent to a hat than to conceal the face. But by around the beginning of the first millennium it was starting to be considered appropriate for upper-class women and those in royal households to veil their faces. This was the beginning of what is called purdah, the exclusion of women from public life, a trend that became more widespread in India with the introduction of Islam in the 13th century. Village women in India will still pull their sari over their face in the presence of males not related to them (see picture). 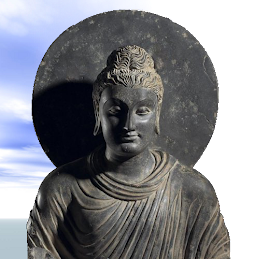 Although this story is apocryphal it is in harmony with the Buddha’s idea that the psychological and the internal are more important than the material and the external. Thank you bhante for sharing such a wonderful account and its meaning. I wonder whether being faithful to her husband was the only main reason that Islamic law of veil introduce or any other reasons. Nevertheless, Yasodhara's defending words are really significance. 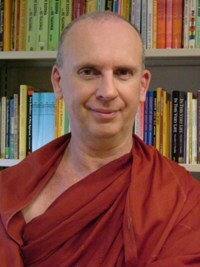 Welcome back, Bhante! Have been checking your blog site everyday lately. 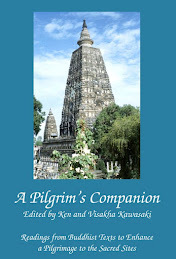 how do we know which part of buddha's biography is historical is the brahma visitation historical? are all his accounts of the pali canon life is historical? For the most part the four nikayas of the Pali Tipitaka (i.e. 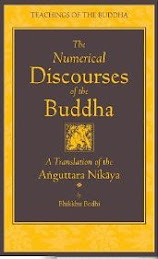 Digha, Majjhima, Samyutta and Anguttara Nikayas) and some of the books in the Kuddhaka Nikaya (Dhammapada, Udana, Itivuttaka, Sutta Nipata) are the earliest record we have of the Buddha’s teachings. However, they do contain interpolations, developments and some mythological material. Using our common sense and an understanding of the superstitions and cultural assumptions of the time we can pretty well tell which is which. It seems to me that the core teachings of the Buddha are credible and sound and can be accepted without having to believe that he flew from one place to another or that gods sometimes came and discoursed with him. your back sri dhammika, but buddhists are divided about the issue about buddha defeated brahma or gods came to him. some believe they are real historical events and some believe that they are symbolic or showing a point. now, the oral tradition is accurate and said not to allow interpolations such as your previous posts. if lying is forbidden how do the monks and laymen allow the developments or interpolations? isnt it fabricating in case they mythologize the buddha. thank you for he answers. the blog is again alive! So glad to see Bhante back! And with such interesting first post. Totally agree with that Lalitavistara part. There are many possible reasons of making women cover their faces, probably some are for women's own good (protection from harsh weather so her cheeks will remain smooth and nice :-), or to discourage potential raper who can't see whether she's pretty or not - just kidding). However, I do feel it's a bit too much for modern times like now. That picture is very intriguing, how come a woman covers her face but letting her belly out for the world to see? I am not a male, but isn't that uncovered belly is more immodest than uncovered face?